I’ve seen a lot of blog posts on how you should show and don’t tell, and I can see how it works in their examples, but I wasn’t really sure how to do that in my writing until recently. Credit for background image goes to: http://www.publicdomainpictures.net/view-image.php?image=27447&picture=typewriter-keys. To cut down the telling and up the showing element, I’ve tried to use fewer dialogue tags. Take a look at the following passages from the first chapter of The Reset and notice how the writing flows as well as how you can sort of get the implied tone of the characters as opposed to me telling you how they’re speaking. Pay attention to the words in bold in the second excerpt. That’s where I cut the tags/inserted action. “What do you want?” I snap, not in the mood for any sort of conversation. “I came to see if you’ve discovered anything,” he yawns. The feline looks up at me with that strange golden eye. The other one is hidden by an eye patch. “What do you want?” I sigh, pouring myself a cup of coffee. When I turn around, Fëar is standing right in front of me. The feline regarded me with that strange golden eye. It adopted a defensive position as if afraid its owner might lose the wager. “Blood.” His words were a snarl in my ear, thick as the crimson liquid he desired oozing out of a fresh wound. This is something I’m having to work on. In my first and second drafts, I think I dropped too much backstory/fact at once. It gave the reader nothing to wonder about. Don’t do that. 😛 You want your reader to be curious. They can’t be that if you have an info-dump at the beginning or even throughout your story. Let’s take a look at how this plays out. Notice how Althea didn’t explain why she knew better. This is what I’ll call the curse of knowledge. You know how there are some really smart people and they’ll be talking about how one interior angle of a heptagon is 128 4/7 degrees or they’ll go off about the current crisis in Crimea or about how ISIS is beheading people in Iran and you’ll still be wondering what the heck a heptagon is, who Putin is, and what ISIS stands for or if it’s just a name of some Egyptian goddess from times long gone. The people talking in those situations would have what we call the “burden/curse of knowledge.” They know something, so they think you know it too. But you don’t. Instead, try to show those emotions through a character’s actions. “Leave my computer alone!” I screamed, angry. Not the best example, but does this make sense? How about you? Have you got any editing tips for us? Any tidbits to keep in mind while writing? Go Teen Writers and Helping Writers Become Authors. 1) Figure out what it is you’re researching. This will include determining exactly what you want to research. So this is kind of the pre-research stage. 2) Research more about what you’re researching about. After you know kind of what you want to research, Google some more on that specifically and figure out whether or not that’s what you’re looking for. The final step is knowing the specifics. Where does the mob usually hang out, where can they be found, etc. A lot of it depends heavily on your main character. For instance, if s/he’s the drug lord, you’ll need to go deeper and figure out exactly how their organization functions, what drugs they deal with, how many people would work for them, how they would pay them, how they do business. The list goes on. Always ask yourself questions. Is it realistic? How would they achieve that? But if the MC (main character) is just some poor kid off the street who got in with the wrong crowd and now does errands for the organization, chances are they won’t know too much about what’s going on. In this case, you’ll probably just need to know how they deliver, where they’d pick stuff up, how they live and information like that. Know what you’re centering in on. If you’re just focusing on one aspect of their criminal activities, research it. The rest may not matter too much. For example, if you’re just dealing with murder, then research how they’d kill someone, what they’d do with the body, and whether or not they’d leave evidence, a false trail, a note, whatever. 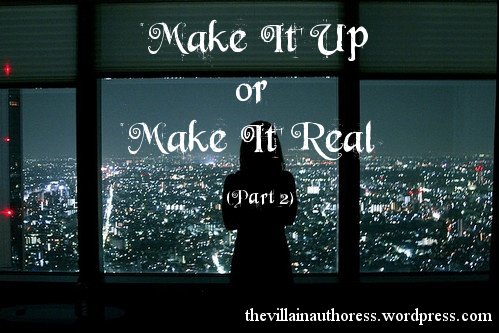 Whether it be a bullet in the head, or chopping it off with a knife, or bleeding them to death, you’ll want it to be realistic (if you’re like me, anyway), and incorporate that into the story. Research the levels of the gang, depending on what it is. Lisa was worried about using something stereotypical. I wouldn’t be too worried about them. It’s just a label. You can take it anywhere. If a stereotypical gang has a lot of research done on them, it’ll make your job easier. 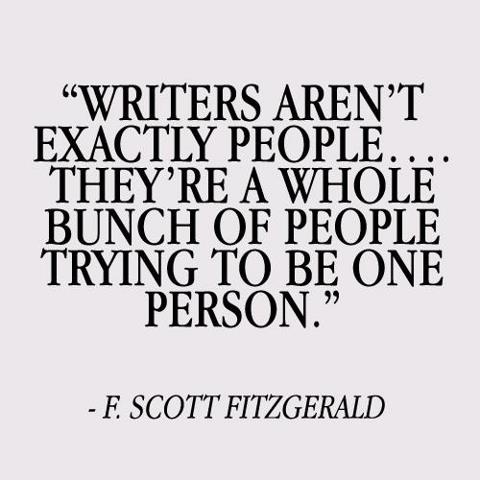 😉 Plus, your readers will be familiar with them. It actually might be better to choose a more well-known gang (or business or whatever) than some obscure, random, virtually non-existent business that deals with nothing anyone would be interested in established in Antarctica just to make the story interesting. Unless, of course, it deals with some pretty high stakes and affects your story and MC heavily. You’ll want to take into consideration the reality of the premise too. This goes along with knowing who your MC is and how their position affects the story. If your plot is focused on some gofer-urchin-person at the bottom of the chain, make sure that what you’re doing to them is realistic. The head honcho probably wouldn’t favor him/her at all. They’d more than likely be disposable and very replaceable. So it might not be a good idea to have the new girl no one pays attention to with the miserable life to suddenly be the big cheese’s favorite minion. Don’t forget to rate the post too if it’s not much trouble. 😉 I’d appreciate it and your honesty. I’ve been busy with school, editing The Reset, and sleep, as well as other things. I really don’t think God intended people to play with time. I mean, honestly. Who gave us the authority to turn the clock back an hour? Ridiculous. Anywho. Onto the writing observations or whatever you want to call whatever follows. 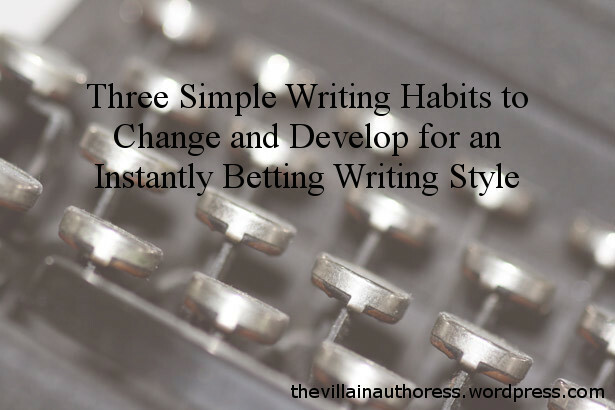 1) If you write consistently, you won’t need to force yourself to write. Now, I realize that sometimes you have writers block. When you do… try to get over it. I know, I know. Brilliant advice. 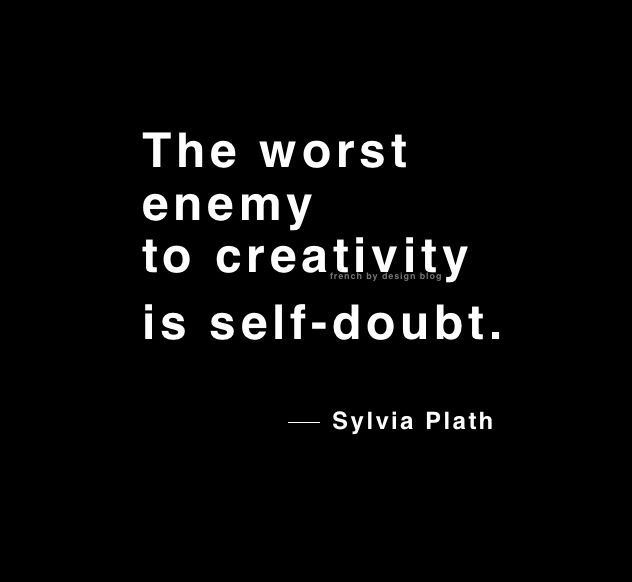 There are tons of posts all over the internet on how to overcome writers block. Just Google it. 😉 So, before I was really into it, it was hard to write. I’d have to force myself to write and even then, it was difficult to make the words flow. But, if you write consistently every day and set a minimum word count for yourself, writing becomes much easier and fluid. I used to use a novel log (which is very helpful!) and track how many words I added every day until it became more of a hindrance than a help. I couldn’t get as much school done (hah! I really don’t know how I do now…), I’d freak if I didn’t write, etc. And then I realized I didn’t need it. I was writing every day, I didn’t need to force myself, and I was more relaxed. That’s where you want to be in your writing. 2) Doubt is a dangerous servant and a fearful master. Okay, okay. I know it’s a spin-off of George Washington’s fire/government quote. But really. It’s true. 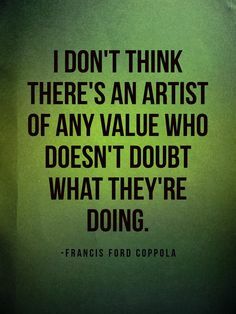 If you don’t doubt your work, you’re doing something wrong. But if you doubt so much that you’re constantly putting yourself down about it, you’re on the other end of the spectrum. Find the happy (I use the term loosely) medium and continue to try and improve yourself. 4) We’re not sadists. We’re writers. There is a difference. I’ve noticed that I have an attraction to morbid things, awful stories, and pain. It’s not because I enjoy it, but because I’m a writer. As Julie Write once said, “What doesn’t kill us, gives us something to write about.” Bad decisions make great stories. But that doesn’t mean you should go around making bad decisions. That would be dumb. Just learn from yours and other’s mistakes. And, by using those, you can create epic, believable tales. “Remember when people tell you something’s wrong or doesn’t work for them, they’re almost always right. When they tell you exactly what they think is wrong and how to fix it, they are almost always wrong.” Neil Gaiman hit the nail on the head right there. Take people’s advice, try it out. It might be something that works for them and not for you or it could be a brilliant piece of wisdom that will work in all situations no matter what. It really depends on the person. There are no set-in-stone rules for writing. It’s a beautiful art – a relationship with words. No relationship with a person is the same, ever. Why should it be different with writing? Bond, get to know your style, make mistakes, learn from them, be awesome. Please be praying for peace. I don’t care if you’re Catholic, Protestant, or Muslim. We need peace. It was terribly hard to keep writing because I knew I had something to say, I just didn’t know what exactly. And I think the reason people write is because they have something to say. So, to get a deep novel, deep characters, deep thoughts that make an impression on people, find something that means a lot to you (it could be an issue people are facing today that you want to help with, it could be a sensitive issue not talked about frequently, but you want your voice to get out there, etc. ), and implement it into a story. Those are the stories that stayed with us. The ones that really mattered. So what matters to you? Will you write a story that’s purely for entertainment, or will you make your mark on this world? But I’d like to hear from you! 🙂 Is there anything I missed? What do you think creates a good story?